Since 1997, the National Institutes of Health has maintained a database of clinical trials, ClinicalTrials.gov, that lists trials under way in the U.S. and throughout the world. It's an invaluable resource, providing a single source for patients trying to find where to get the newest experimental treatments, and for doctors and scientists looking to enroll patients in their trials. In recent years, companies offering questionable stem cell therapies got the bright idea that they could describe their treatments as clinical trials, register them on ClinicalTrials.gov, and thereby get some free advertising. 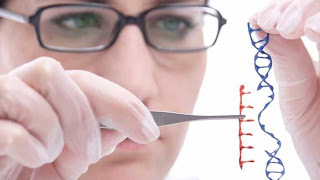 Most stem cell treatments are not FDA-approved, and many have little or no data supporting their effectiveness, but clinics can still register their "trials" on the NIH site, making it appear that they are supported and endorsed by the government. A new study by Leigh Turner, published this week in Regenerative Medicine, reveals the growing extent of this problem. What's especially worrisome is that some stem-cell treatment clinics charge patients very high fees to participate in their "trials." Some patients (perhaps most) don't know that legitimate clinical trials virtually never charge fees. Consider this example, reported last July by Emily Bazar at Kaiser Health News: California resident Linda Smith has knee osteoarthritis, and was looking for treatments that could restore her knees to health without surgery. She found a stem cell trial at ClinicalTrials.gov that was run by StemGenex, a clinic in La Jolla. 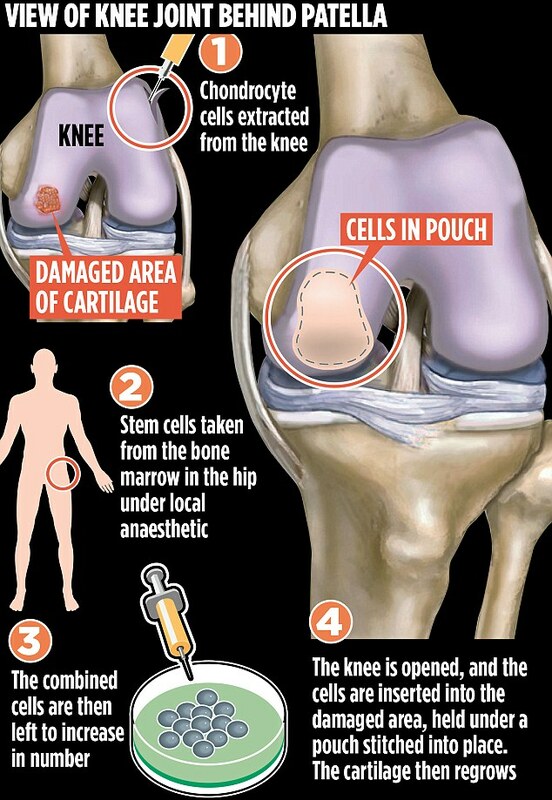 The clinic promised it could inject stem cells into her knees to replace lost cartilage. When she inquired about signing onto the trial, Smith was shocked to learn that StemGenex wanted a $14,000 fee for her to participate. StemGenex claimed that “The actual treatment is not part of the study protocol”: you pay for the treatment, they explained, and the study is merely a followup to see how you did afterwards. "Stem cell therapy for Osteoarthritis is being studied for efficacy in improving the complications in patients through the use of their own stem cells." "The goal of each stem cell treatment is to inject the stem cells into the joint to create cartilage (chondryte cells)." Sounds good, right? If only it were true. I've got bad knees myself, so I've been following the research on stem cell treatments for cartilage replacement for years. I would love to be able to get a simple injection that could repair my damaged cartilage. Alas, though, no one has yet developed an effective stem cell treatment for bad knees, although it is plausible, and legitimate trials are under way right now (here's one). Unfortunately, the lack of evidence hasn't stopped clinics from offering stem cell injections right now, accompanied by all sorts of promises that are not backed by science. It's not just knee injections, either: this past March, Sharon Begley at STAT reported on three women who were blinded by stem cell therapy injected into their eyes. Most patients think, mistakenly, that if a clinic offers stem cell therapy, it must have been approved by the FDA. That's not true–clinics offering these therapies don't have FDA approval, and they argue that they don't need it (which might be correct, but that's a topic for another day). Patients also assume that trials listed on ClincialTrials.gov must have been approved by some government agency, but that's not true either. The site is a clearinghouse that uses the honor system, nothing more, to ensure that trials listed there are legitimate. If you read their Disclaimer (but who does? ), you find that studies listed on the site are not necessarily funded by NIH or approved by the FDA. "Cell Surgical Network uses its registered ClinicalTrials.gov study as a powerful marketing device. Press releases and the websites of the clinics that are part of this network emphasize that the study is registered on ClinicalTrials.gov." NIH needs to start policing this site before the situation gets worse. Coincidentally, I know just where they can find the resources to do it. NIH just announced that it's about to start regulating all sorts of basic science studies as clinical trials, a move that will cause a "massive amount of dysfunction and paperwork," according to one MIT scientist. Rather than over-regulating basic science, NIH should devote those same resources to cleaning up and then continuously monitoring the ClinicalTrials.gov database. What these stem cell clinics are doing is not a clinical trial, and advertising their services through ClinicalTrials.gov is reprehensible. For now, if a doctor or clinic tries to charge you to participate in a clinical trial, your best course may be to find another trial–and another doctor.